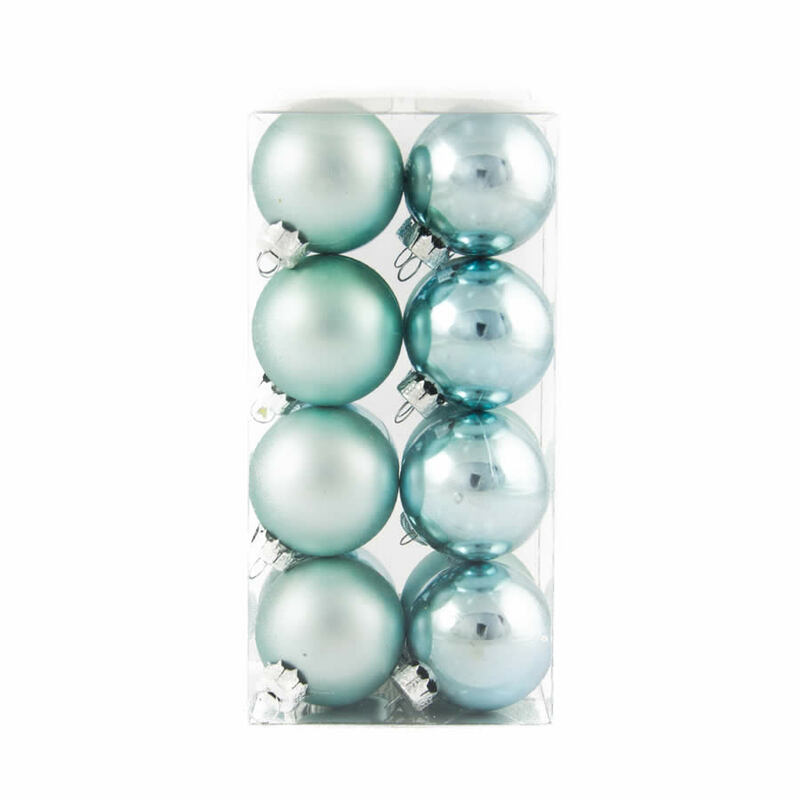 Lighten up your holiday themes with these brilliant Light Blue Baubles in the 40mm size. 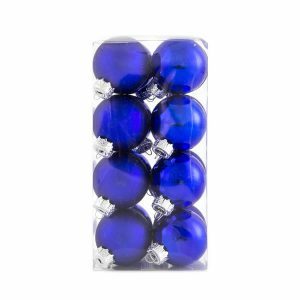 Each beautiful bauble is an enchanting shade of blue, and there are two different styles found in each package of sixteen shatterproof ornaments. 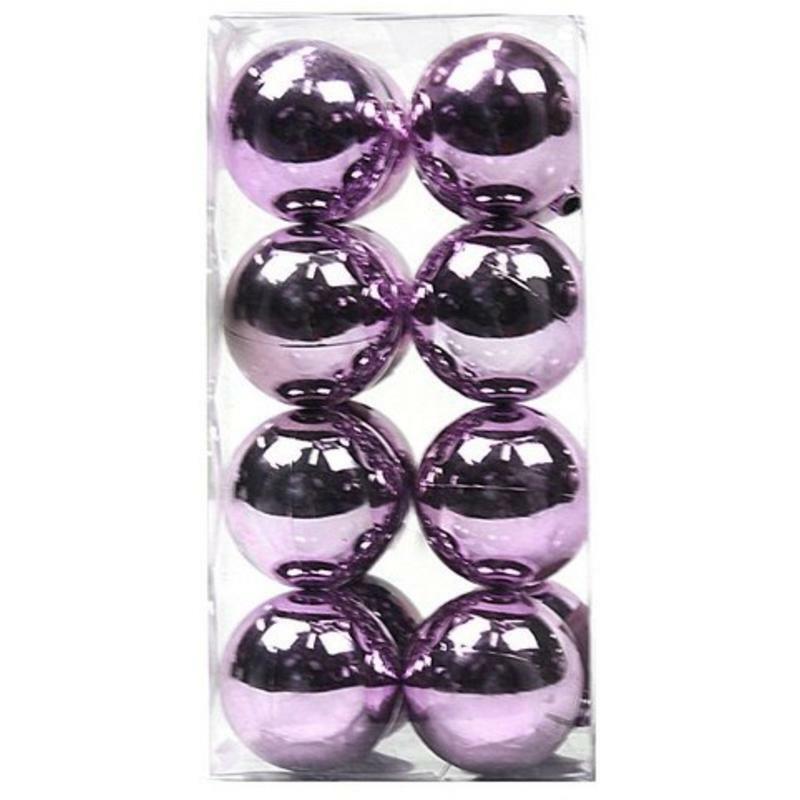 There are eight high-shine, chrome-like ornaments, as well as eight soft and hazy, matte-finish ornaments. This gives you plenty to work with when you are designing and planning your holiday decor. Imagine how stunning these would look on a tree paired with iridescent pearl ornaments, offered and sold separately, or when added to a tree with silver or gold tinsel garland, also offered and sold here. These are excellent options for families and homes that have pets or small children as they are shatterproof, so you won’t have to worry about Christmas Decorations becoming damaged or small hands being cut on the glass.